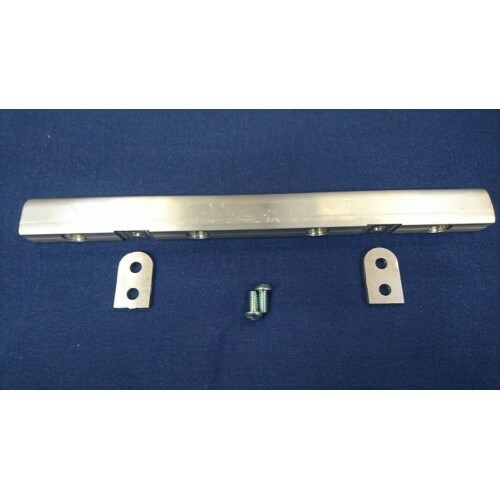 High performance 6063T6 billet aluminium fuel rail to suit the Ford Zetec engine. 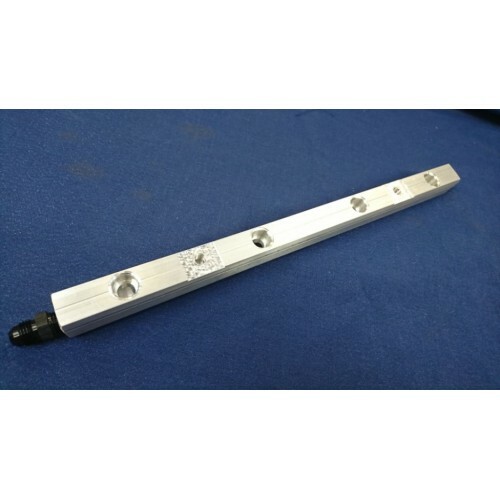 Manufactured from our -6AN extrusion this fuel rail is pre-machined to accept standard Bosch 14mm top feed injectors on the standard Zetec spacing of 92mm. 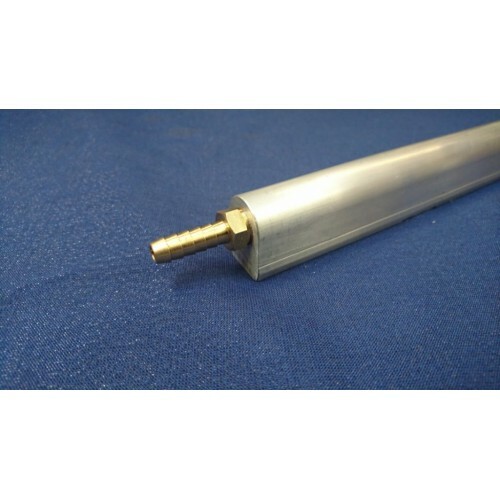 This item is also suitable for use on other engines with a 92mm port spacing such as the ST170 variant and the CVH. 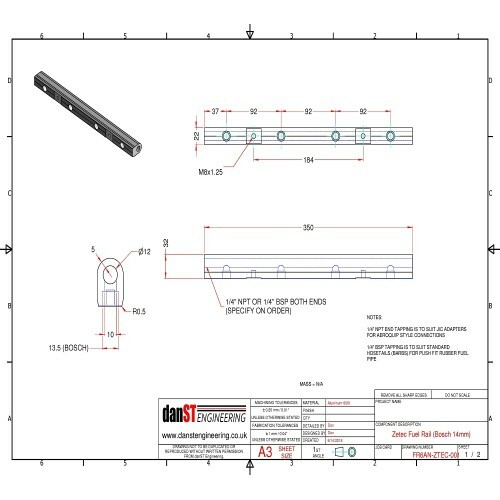 Please specify your requirements for each end. The extrusion features convenient ready marked centerlines for both cross-drilling (for bracketry) and injector bore drilling. We have also incorporated chamfers on the lower corners (where others are square) to both improve clearance to injector plugs and enhance the visual appeal. A pair of generic brackets are included as a starting point for mounting - note that these are not intended to pick up on any existing mounting points and are a generic bracket only. This item is made to order and thus on a 10 working day lead time to dispatch. We are a UK supplier and the price you see is the price you pay.